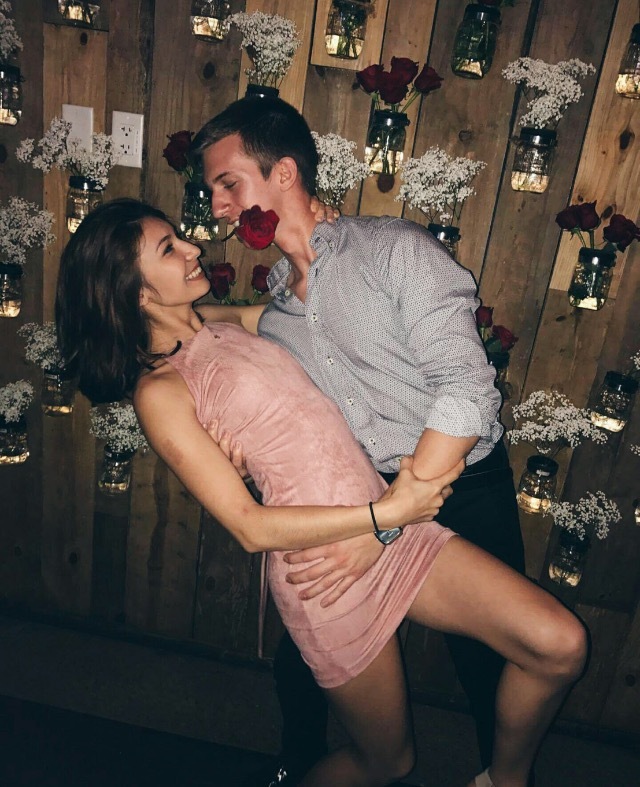 It all began as a romantic gesture for student Tatiana Radulovic, 19, who decided to go on a picnic with her boyfriend at Lake Alice to celebrate Valentine’s Day. Things quickly turned sour when an unexpected guest showed up to their rendezvous. After stepping away from their blanket to view the lake, an alligator approached their setup and began eating their food. They waited for a while for the alligator to leave, however they ultimately ended up calling UFPD. 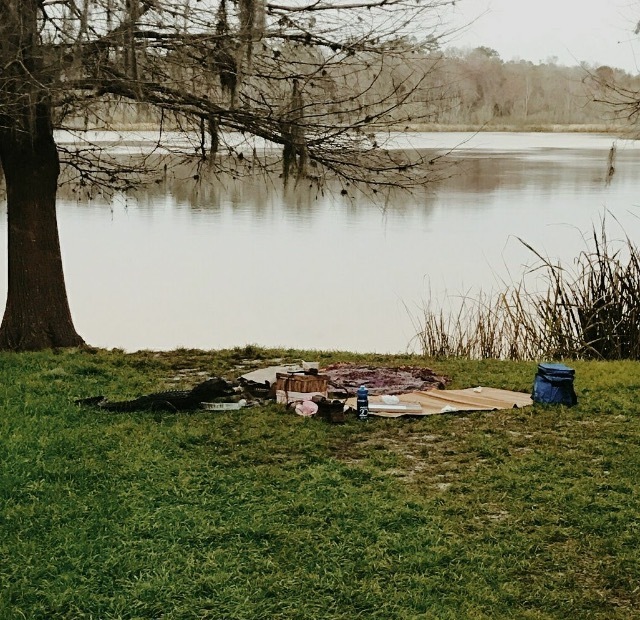 An alligator crashes a Valentine’s Day picnic at Lake Alice. 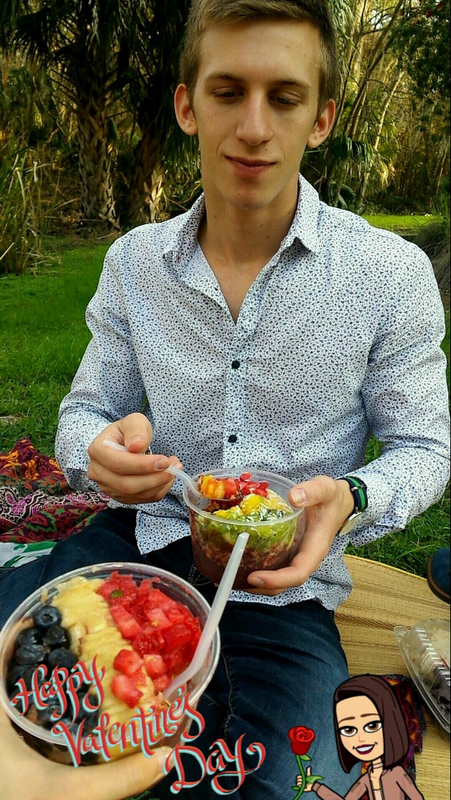 An image posted by Radulovic on Snapchat before the alligator approached the picnic. Just when Radulovic thought it couldn’t get any worse, the unthinkable happened. “He puts the Polaroid camera in his mouth, and just turns and walks into the lake.” Not only did she lose her food, she also lost her camera. Though things took a turn for the worse, Radulovic didn’t let the ordeal ruin her day. As soon as the alligator left, Radulovic and her boyfriend moved all their things and finished the picnic. They also went to a painting class afterwards to end the day. 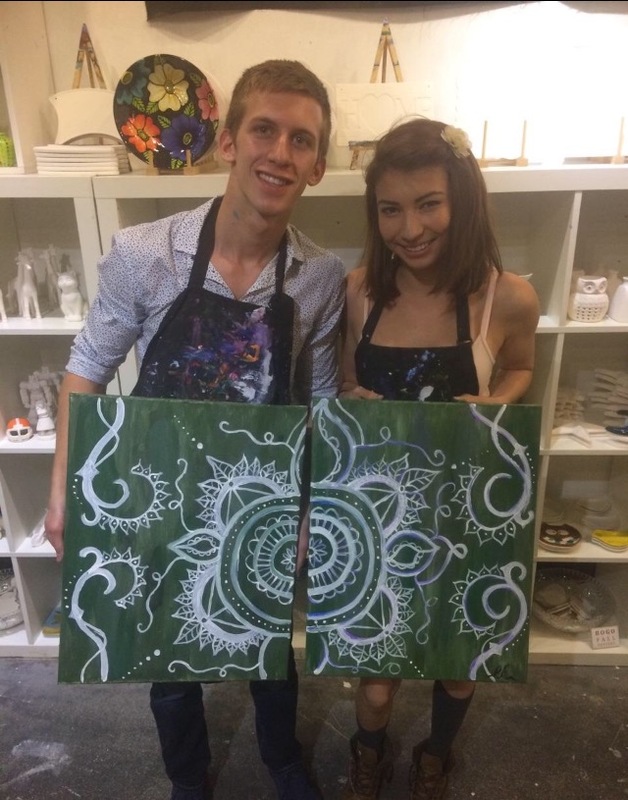 Radulovic and her boyfriend at a painting class after the picnic. Radulovic went on to post the picture on Facebook, and it now has over a thousand likes and counting. Commenters on the photo joked that the alligator was an “aspiring photographer” and also said that perhaps he was “lonely” given that it was Valentine’s Day. Whatever the motive, it was a moment Radulovic will likely never forget. Next time when visiting Lake Alice, consider that maybe you’re not the only Gator there. The couple wasn’t deterred as the posed happily at OAK restaurant.